My digital photograph albums (all pictures). Just my renaissance faire and steampunk photos. Digitial Photography Review (Forums, Camera reviews). 43rumors.com (4/3rds and micro 4/3rds rumors). Photo.net, (Olympus and Panasonic 4/3rds forum). Camerahacker.com (various hacks to cameras). The Visual Science Lab blog by Kirk Tuck. UK Photo Safari group, (Boston group). Letsgodigital.org (rumor and review site). Robgalbraith.com, a site for digital photojournalists. Nærfoto Bjørn Rørslett's site on nature photography. B & H Photo-Video-Pro Audio. Adorama - The Photography People. J & R, music and computer store. Naturescapes.com (accessories for outdoor photographers). Popflash (sells Ricoh, Leica cameras). Vivitar (flashes, cameras, lens, etc.). Phoenix Corporation of America (flashes, bags, memory, tripods, etc.). Promaster (lenses, flashes, bags, other accessories). Trigger voltage of various external flashes. Kodak's page on the light temperature of various light sources. My page for external flash support for C-2100UZ and other Olympus cameras. My page that lists the TTL flashes for Olympus DSLRs. My examination of various flash modifiers. Macro lighting with the FL-40. Olympus C-5050 and C-5060: External Flash Units. Paramount Cords (custom flash synch cords). Better Beamer (extend flash range for long lenses). Gary Fong's Lightsphere-II (flash diffuser). Guide to make Lightsphere knock-off (aka Gorosphere). Using a balloon as a flash modifier. Flipit (flash modifier and flash bracket). Ultimate Lightbox (light box and diffuser). A Better Bounce Card (instructions for making your own bounce card). Bounce your pop-up flash (aritcle on fourthirdsphoto.com). Ray flash (ring flash attachment for normal flash). Radio popper (re-transmit TTL flash control to slave flashes). Flash zebra (store specializing in off camera flash supplies). G9CHON (radio slave flash receivers/transmitters). Modifications to Cactus flash triggers. Honlphoto (grids, snoots, gobos for hot-shoe based flashes). Gelholder.com (color correction holder for hot-shoe based flashes). Make your own flash voltage protector circuit. How to build your own DSLR ring flash, part 1 of 2, and part 2 of 2. Make your own beauty dish. Home-made foam flash diffuser for the Olympus 35mm macro lens. Cat5 camera flash extension cable. Aokatec AK-TTL radio based Olympus wireless flash reciever/transmitter. Stroboframe (flash brackets, a Tiffen subsidiary). Newton Camera Brackets (flash brackets). Bogen (Gitzo/Manfrotto tripods, Metz/Achiever flashes). Kirk Enterprises (tripod accessories, flash brackets, clamps). Kaidan (panoramic tripod heads and brackets). BKA Group (Brandess, Kalt, Aetna, Pelican, Stratos, and Siegelite products). Wimberley (shape shifter modular flash bracket and long lens support). Bushhawk (shoulder mounted camera support). Kenyon Labs (Kenyon Gyro stabilizer). How to survive without your tripod. Monopods, the next best thing to tripods. Jobu-design (flash brackets for large lenses). Demb bracket (flash modifier and flash bracket). Denis Reggie dual flash bracket. Reporter Flash Bracket (flipping flash bracket). The adventures of Gorillapod Guy. Longshotcamerasystems.com (mount and fire camera on a pole). Polepixie.com (camera on a pole setup). Kessler Crane (Camera cranes and accessories). Jag35 follow focus system (remote zoom/focus control). How to use the Olympus FL-BK04 flash bracket. How to use the Olympus FL-BKM03 macro flash bracket. Peak Design Ltd. (camera capture belt clip). Tips for using a FL-50 flash with an E-1. Low budget lighting with umbrellas. Neil Turner's flash techniques and Older pages. Dave Read's Manual Strobe control. Using a white card on the flash from Higuma (dpreview.com). A short guide to using the Olympus FL-36/FL-50. Neil van NieKerk's flash tutorial. High speed flash sync vs. normal flash speed. DPreview article about FL-50 external batteries. DPreview article comparing flash modifiers. Fourthirds article on how Olympus chooses TTL flash modes. Flash photography - History and Ilford flashguns. DYI underwater slave support via fiber optic cable. Photek (portable backgrounds, softlights, lighting tents). FJ Westcott (lighting control, backgrounds, grips). Backdrop Outlet (backgrounds, props for studio shots). Silver Lake Photo (backgrounds, props for studio shots). Broncolor (studio lighting and accessories). Setshop.com (backgrounds, lighting, studio gear). Off the Wall Productions (backdrops). David Weikel's page on Alien Bees. Cathy's list of background companies. Rosco.com (lighting systems, including filters for lights). Paterson Photographic (lighting, tripods, inkjet papers). Chicagocanvas.com (wide muslin/canvas for backdrops). Rosebrand.com (fabrics and textiles for the theater industry). Pocket Wizard (remote flash triggering). Chuck Gardner's Lighting 101, and Lighting 102. Steve Barrett's Portable Studio Flash Using Canon Speedlites. The Zeltsman Approach to Traditional Classic Portraiture. DPreview.com thread on studio setup. Brian Zimmerman do-it-yourself lighting equipment. Tinker Tubes - Personal Lighting Systems (pdf file). Kevin Connery's page on studio lighting. The DIY guide to cheap studio lighting. Studio lighting on a budget. Exposure and Lighting Technique form lotstsphoto.com. Introduction to studio lighting by Kevin Connery. Garageglamour.com/ (Model and Photographers forum). Theflashcenter.com (Elinchrom's Lighting setups taught by Chris Burfoot). DPreview thread on lighting tutorials. The Strobist blog (use small flashes for lighting). DIY photo gear (do-it-yourself studio). Mumford time machine (remotely set off cameras). Robot to press shutter button. Bitshift DSLR remote (shutter release for camera on smartphone). Remote pin-outs for various shutter releases. Program a PIC to be an infrared shutter release. RemoteAll (infrared shutter release for cameras without shutter release control). Trigger Trap (programable shutter release). Arduino shutter release for E-PL1. Yongnuo live view remote video and shutter release. My dpreview.com review of the Yongnuo. My fourthirdsphoto.com review of the Yongnuo. THK Photo (US distributors of Tokina lenses, Kenko lenses, Hoya filters, SLIK tripods). Robin Kanta Photographic Supply (filters). Bug Eye Digital (lenses, tripods, flashes, and other accessories). Mount tele-scopes, binocular eye-pieces on cameras. CKC Power (tele-extender lenses, scopes, flashes, and other accessories). Olympus add-on tele-converter (zoom, wide angle, macro) lenses. Wallace Expo/Disc (better custom white balance settings). List of tele-extender lenses Olympus has produced. Scopetronix.com (telescope eyepiece adaptors for cameras). Pemarall adaptors (3rd party filter/tele-extender adaptors). Clearviewer.com (lens to view point and shoot cameras lcd up close). A comparison of SLR/DSLR lenses. User ratings of various lenses for the Nikon D-70. User ratings of various lenses for the Minolta cameras. Adaptors for Olympus DSLRs for other lenses (Cameraquest). Unofficial Olympus OM Zuiko Lens Page. Vivitar lenses: Who actualy made them, and 70-210mm information. Cult Classics in Third Party Lenses. Katz Eye Optics (focusing screens for DSLRs). Various OM lenses on an E-1. Polish site to order Nikon/OM/M42 adaptors for Olympus DSLRs. Wrotniak's article on using OM lenses on E-1, E-300, E-500 cameras. Wrotniak's article on all 4/3rds lenses. Compare Different focal lengths on Olympus cameras (needs flash). Another site to show different Olympus focal lengths (in german). A third site to show different Olympus focal lengths. Show different Olympus focal lengths in one photo. All you wanted to know about lenses on 4/3rds systems. Manual focus lenses with DSLRs. Prophotorental (rent Canon, Nikon, and Olympus lenses/bodies). Site to compare viewfinder sizes. Angle of view of 4/3rds lenses. Angle of view of 4/3rds lenses #2. A comparison of various 4/3rds lenses at 50mm. How to use ultra-wide lenses. How to adjust your camera's focus mechanism manually. Tim Jackson's focus test chart. Panasonic G-1, G-F1, G-H1 micro-4/3s lens compatibility. Hotrodcameras.com (mount video/cine lenses on micro 4/3rds cameras). Lenstip.com comparison of polarizing filters, main test, supplement. Lenstimp.com comparison of UV filters, main test, supplement. Using 4/3rds 9-18mm lens on a m4/3rds body. Domke (camera bags, a Tiffen subsidiary). OP/Tech USA (camera straps and bags). Drifter Sport and Travel Bags (bags, battery cases). Cambags (site showing how cameras fit in various bags). Stormjacket (rain covers for cameras). Kinesys (modular belt and case system). Thinktank Photo (photo storage systems). Thinktank Photo article on traveling with camera gear. Jill-e designs (fashion camera bags). Photo backpacker (custom made photo backpacks). F-stop gear (backpacks and messenger bags). Egrips (Make cameras, phones, etc less slippery). Aki-asahi (custom coverings for micro 4/3rds cameras). Skytop trading (leather fitted camera cases). Japan Exposures (hand made camera cases from Japan). Saddleback leather (leather camera bags). Maxpedition (Hard use, military style gear bags). Luma-labs.com (Luma loop and PodMount). Make your own grip strap. Lens Loop (better camera strap). Ona bags (leather camera bags). Phat straps (fashionable and customized camera straps). Vosonic (x-drive portable hard drive). Deltrontech.com (cinema disk portable hard drive and MP3/MP4 player). Portable Digital Backup Device for the Photographer. Inside Computer (seller of various portable hard drives). Power in Numbers (seller of various portable hard drives). Jobo digital (seller of various portable hard drives and CD burners), Linux SDK for Jobo Giga Vu Pro. My Digital Discount (various portable hard drives). Jaldigital (various portable hard drives). Exeltek (various portable hard drives). Speed test results for various media and readers. Olympus SmartMedia Repair (repair SM cards that won't format). Unitedimagingsolutions.com (upload files from a camera wirelessly to computer). Eye-fi (wireless SD card), Eye-fi retailler. NextoDI (Nexto CF and Nexto OTG portable hard drives). Battery and charger comparison webpage. Thomas Distributing (batteries and chargers). Rip Van 100 (batteries and chargers). Cheap Batteries (batteries and chargers). Green Batteries (batteries and chargers). Erwin Computers (Digi-power DPS-9000 link). Powerrunner at tekkeon.com (external battery). Ipower at insidecomputer.com (external battery). Digital Camera Battery (high end camera/flash batteries). Quantum Instruments, Inc. (flash, flash meters, external battery). Solar powered backpack that charges Olympus BLM-1 batteries. Bluenook.com (sells Wasabi BLM-1/BLS-1 clone batteries). Ezprints.com (Fujicolor glossy and matte). Fototime.com (Fujicolor glossy and matte). Clubphoto.com (Kodak glossy and matte). C-net's review of online printers. Pictopia.com (Fujicolor large format prints). Optimal Fuji Frontier printing tips (from Berman Graphics). Jumbogiant.com (large format prints using Epson Ultrachrome inks and papers). Makestickers.com (make your own bumper stickers, any size orders). Koolprint.com (make bumper stickers in quantity). Colorslide.com (make slides out of digital photos). White House Custom Color (Fuji). Cafepress.com (sell pictures/calendars on the internet). Comparison of online printing prices by Oleg Kikin. Xpphoto.com (Fuji glossy and matte). Some large print options in Canada and the USA. Selling your pictures over the internet. Budgetsignmakers.com (print on canvas, outdoor signs). photo.stamps.com (Put your photo on a legitimate USA stamp). Printingforless.com (brochures, posters, postcards, etc.). Skinit (custom phone, laptop skins). Designersleeves.com (laptop sleeves with your photo). Wilhelm Imaging Research (print longevity). Lumijet.com (inkjet paper and 3rd party inks). Inkjetgoodies.com (inkjet paper and 3rd party inks). Mycustomcalendars.com (templates for making your own calendar). Digitalartsupplies.com (fine art papers, albums). Cathy's profiles (custom printing profiles for color management). Lyson.com (3rd party inks, Print Guard). Inkjetart.com (printers, papers, inks, photo sleeves). Media Street (3rd party inks and papers). Photoshop Epson Colorsync WorkFlow and Color Management Free Photoshop Tutorials. Inksupply.com (inkjet refill kits, continuous flow printing, papers). How to mount pictures from Danielsmith.net. Olympus America main site, Digital cameras, and Emporium. Amy Walter's page on C-2100UZ teleconverters. DPreview forum thread comparing various teleconverters. Site that has the C-2100UZ manual as a PDF file. My page for wide angle lenses for C-2100UZ. how to make your own FL-CB04 cable, Pictures of a homemade cable, and Another homemade cable. ELF (El-See's Last Friday) List, a list of helpful Olympus articles. Pine Tree Computing - control Olympus cameras from a PC. Cam2Com (control camera from PC). How to modify a FL-BK01 for use on other brackets. Olympus Talk Galleria (from dpreview.com Olympus talk forum). Adaptors to mount other lenses on a Olympus 4/3 body. How to install Olympus Viewer on Windows XP/SP2. How to build an extension cord for the RM-CB1. Olympus C-2100UZ mode dial repair. DPreview article with Olympus Developer links. DPreview article on the E-400/E-410/E-510 cable pinout. Show various lenses on various Olympus bodies. RM-UC1 clone cable that combines the cables. Build your own RM-UC1 clone. DIY Pen auto focus light. How to adjust focus in the E-30, E-620, and E-5 cameras. My dpreview post about the Tcon-17 versions. Gimp.org (GNU Image Manipulation Program), and Gimphelp.org (gimp tutorials). Ed Halley's Using Multiple Exposures in Photography (with GIMP). Cinepaint (16-bit color depth version of GIMP). Linux support for the Minolta Dimage cameras. Jhead project site (software to manage EXIF information in JPG files). Patch for adding Nikon MakerNote support to jhead. Qimage Pro (Optimize pictures for printing). List of Linux Digital Photography sites. Linux support for various RAW camera formats (dcraw), Dcraw tutorial. UFRaw (dcraw based plugin for GIMP). RawPhoto (dcraw based plugin for GIMP). Neat Image (reduce noise in digital pictures). Noise Ninja (reduce noise in digital pictures). Michael Almond's comparison of noise reduction programs. Oziphototool (integrate a GPS with your camera). Netpbm tools (older Linux based command line tools). Links to various image processing software. Using Nikon D70 on Linux. Free software using PTP (picture transfer protocol). Minolta MakerNote (description of Minolta specific flags). ExifTool (perl support for decoding EXIF information). Raw Shooters Essentials (RAW support). FxIF (display EXIF information in mozilla/firefox). Bibble (RAW decoder and post processing). Map out bad pixels on older cameras. Helicon filter and focus software. Pixel Image Editor (Windows, Linux, Mac). Exposureplot (graph focal length, ISO, etc. of a photo album). Raw therapee (RAW converter based on dcraw). Hugin (Opensource panorama photo sticher). Pfstools (Opensource high dynamic range utilities). PFScalibration (Opensource photometric calibration of cameras). PFStmo (Opensource tone mapping operators). Lightzone (commercial editing suite), (Linux version, tutorial). Photo Screwdriver (java depth of field calculator). Flickr Olympus software discussion board. Imagecraft e-capture (alternative to Studio for tethering Olympus DSLRs). Photogrok (search for images based on EXIF fields). PTLens (correct lens pincushion/barrel distortion, vignetting, chromatic aberration, and perspective). Mplayer (Linux movie player and editor). Autopano.net (commericial autostitch program, Mac, Windows, Linux). CombineZP (free Windows software to do focus stacking), CombineZ notes. resourcespace.org (Free and Open Source Digital Asset Management). Koh's Camera (lots of used equipment). Hunts Photo and Video (in Melrose, MA). Newtonville Camera (in Newton, MA). E. P. Levine (in Boston, MA). Zeff Photo Supply (in Belmont, MA). Calumet Photo (in Cambridge, MA). Sanford Camera Repair (in Arlignton, MA). Bromfield Camera (in Boston, MA). The Camera Company (in Norwood, MA). EP Levine (in Boston, MA). Photographer's Edge (convert photos into greeting cards). Inanycase.com (digital media holders and accessories). New Egg (cheap flash memory). Short Courses (books and courses on taking pictures). Erwin Computers (cameras and accessories). Dealram.com (compare prices on memory including flash media). Dealcam.com (compare prices on digital cameras). Free Grayscale Masks for Photo Edge Effects. How to make a rain/spray cover for your camera. Ceiva.com (digital photo receiver for non-computer people). Walkstool (foldable seat), (USA distributor). New Yorker February 28th, 2005 cartoon on camera obsolescence by Alex Gregory. Zero Assumption Digital Image Recovery. RAW images from various digital cameras. 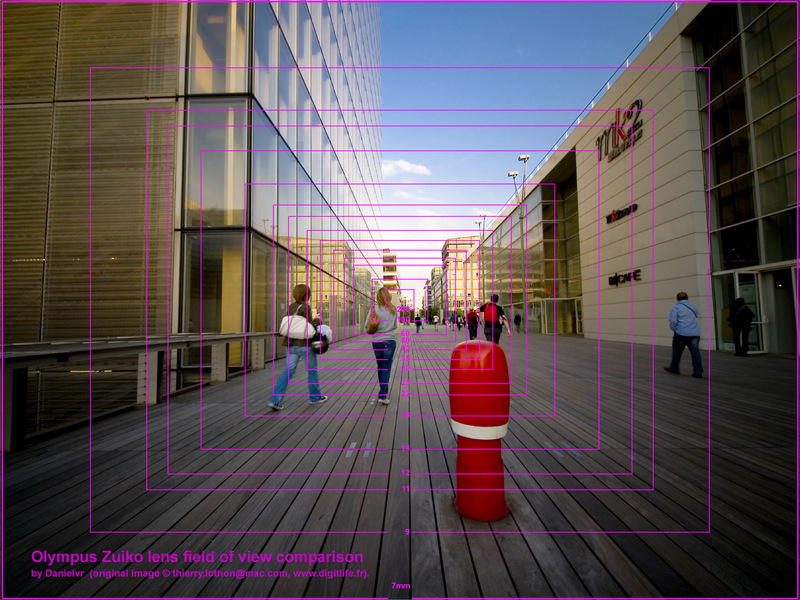 Digital camera sensor sizes information. Post processing for high dyanamic range. Understanding histograms #1 (tones and contrast). Understanding histograms #2 (luminance and color). HDR (high dyanmic range) techniques with free software. How to shoot with a compact camera. Popular Photography article on Polarizers (pdf file). How to buy a digital camera without being robbed. sRGB vs. Adobe RGB (from Ken Rockwell). Build your own ring flash. Build your own sound blimp #2. Build your own sound blimp #3. Tips on photo composition from Fodors.com. Photographytips.com (note this is now a pay site). Moose Peterson's Wildlife Research Photography. The Luminous Landscape (landscape, nature and documentary photography). Kodak's picture taking information site. Filters for Outdoor Photography by Darwin Wiggett. Digital Photography For What Its Worth by Jeremy McCreary. How to use a mono-pod. Photo tips from the National Geographic Magazine. Meta list of helpful photo sites. Zuga.net (tutorials from Monte Zucker and Gary Bernstein). How to mount a camera on a pole and shoot remotely. How to clean digital camera sensors. Articles by Godfrey Digiorgi (manual focusing, lightroom, etc.). Arduino High Speed Photography Trigger. Adding a pc-sync port to an Olympus FL-50. Diycamerakit.com (Future 4x5 camera kit, blog about the progress). Bulldog DYI cameras at B&H: 4x5 kit, 8x10 kit. Capworkshops.org (Center for alternative photography). Ltiny.com (Lab that processes large format film). Dorianlab.com (Arlington, MA company that does large format film processing). Canhamcameras.com (KB Canham Cameras, Inc.). Adapting a DSLR to large view camera. Bostick-Sullivan.com (supplies for hand crafted photography). Graflite (using flashes on press cameras). New55 project (project to recreate instant film). Orphancameras.com (scanned old camera manuals). Craig Camera (old camera manuals). Building an old fashioned view camera. Faux bellows camera for home decoration. Graflex.org (all about the Graflex large format cameras). Through a vintage lens (restoring an old camera). The living image vintage camera museum. Zeroimage.com (collectable handmade wooden pinhole camera). 4x5 cigar box pinhole camera. Demonstrate f-stop and shutter speed on pictures. Camera Repair Secrets by Ed Romney. ACEcamera web services (links for vendors, repair places, etc.). How Stuff Works on Digital Cameras. Comparison review of C-5050Z/G3/Leica cameras. A guide to rights of photographers in the USA. Photographer's rights on a gray card set. How to create a panorama. Nikon Field Guide by Thomas Hogan. Digital camera links at northlight-images.co.uk. William Eric McFadden's photography links. Neil Turner's review of his last month in photo journalism. Figure of Merit (aid to comparing cameras with high zoom). DPreview article on dynamic range of RAW files. Another DPreview article about RAW file dynamic range. Don Wiss's pictures of Brooklyn camera dealers. What the duck (photo comic strip). LCD monitor test (show how well your monitor deals with color, contrast, etc.). Advice from the wife of a photographer. Michael Bass Designs (Custom Gear and Projects for the Serious Photographer). Star Camera Company (repoductions of wetplate and Daguerreian era cameras). History of the Kodak Brownie. McCord Museum on William Notman (historic photographer). Review of on-camera DSLR microphones. Tether tools (strain relief for cables). Criscam.com (3rd party camera repair).